At some time during the end of this present age, there will be a massive invasion involving Islamic nations aligned with the country which today is called Russia. The attack will be against the nation Israel and the goal will be to annihilate God's chosen nation. Before this goal can be accomplished the invading army will be supernaturally destroyed in a remarkable way that will bring glory to Jehovah. The details of this invasion are clearly revealed by the prophet Ezekiel in chapters 38-39. What Nation Will Lead This Invasion? Long ago the prophet Ezekiel predicted that in the latter days the people of Israel would be invaded by a great confederacy of nations coming down from the north. This important prophecy is found in Ezekiel chapters 38 and 39. How can we identify these mighty invaders? Son of man, set thy face against Gog, the land of Magog, the chief prince (literally "the prince of Rosh") of Meshech and Tubal. 1) MAGOG--this term was used to describe the region where the descendants of Magog lived. According to Genesis 10:2, Magog was one of the sons of Japheth. Japheth was one of the sons of Noah (see Genesis 9:18,27). Josephus, the Jewish historian, says that the descendants of Magog were “by the Greeks called Scythians” (Ant. i.6.1). According to the Encyclopedia Britannica (1957) and The International Standard Bible Encyclopedia, the Scythian people lived to the north of the Black Sea and north of the Caucasus Mountains. This area today is part of Russia. Gesenius, the Hebrew scholar, says that the descendants of Magog were “a great and powerful people, inhabiting the extreme recesses of the north.” Mark Hitchcock writes: "Magog today probably represents the former underbelly of the Soviet Union: Kazakhstan, Kirghizia, Uzbekistan, Turkmenistan, and Tajikistan. Afghanistan could also be part of this territory. All of these nations are dominated by Islam with a combined total population in excess of sixty million" [The Battle of Gog and Magog, by Mark Hitchcock (paper presented at the Pre-Trib. conference), p. 3]. 2) ROSH--some Bible scholars, such as Gesenius, believe that the modern name “Russia” is derived from this ancient place name “Rosh,” because of the similarity of sounds, and also because certain Greek writers of the 10th century (A.D.) described people living in the area later called Russia by the word “Rōs.” Other Bible students take the position of Old Testament scholar Merrill F. Unger who says that the word "Russia" was not derived from Rosh, “although the general area was that now occupied by Russia and Turkey.” Clyde Billington asserts that the Rosh people lived north of the Black Sea, the people known today as the Russians [Clyde E. Billington Jr., "The Rosh People in History and Prophecy (Part Three)," Michigan Theological Journal 4 (1993), 59,61]. 3) MESHECH was another son of Japheth (Genesis 10:2). The descendants of this man lived for centuries in Asia Minor (probably in Cappadocia), and later were pushed northward by their enemies into the mountainous area southeast of the Black Sea. Today this area borders on Russia. 4) TUBAL was another son of Japheth (Genesis 10:2). The descendants of this man also lived in Asia Minor, not far from the Black Sea. The descendants of Tubal and Meshech probably lived close to each other, because in the Scriptures the two names are almost always found together. Mark Hitchcock said the following about the identification of the locality of Tubal and Meshech: "The preferred identification is that Meshech and Tubal are the ancient Moschoi and Tibarenoi in Greek writings or Tabal and Musku in Assyrian inscriptions. the ancient locations are in modern Turkey" [The Battle of Gog and Magog, by Mark Hitchcock (paper presented at the Pre-Trib. conference), p. 8]. GOG seems to be a man, the leader of this great invasion. It seems evident that he is an individual because he is addressed directly by God (Ezek. 38:14; 39:1) and he is also called a prince (Ezek. 38:2; 39:1). Where Will This Massive Army Come From? And thou shalt come from thy place out ____ ______ ____________ _________, thou, and many people with thee, all of them riding upon horses, a great company, and a mighty army (Ezekiel 38:15). And I will turn thee back, and leave but the sixth part of thee, and will cause thee to come up _________ _____ ____________ ___________, and will bring thee upon the mountains of Israel (Ezekiel 39:2). The Hebrew expression for "north part" in both of these verses literally means "the extreme parts of the north" or “the remote parts of the north" (NASB) or "the far north" (NIV) or "the uttermost parts of the north" (RSV). Examine a world map or a globe. What is the nation located to the extreme north of Israel? _______________________________ Moscow is located almost due north of Jerusalem! Russia today is not an Islamic nation, but it has an Islamic population that is growing very rapidly, and this is causing concerns among those in Russia who are not Islamic. The average Islamic family in Russia is bearing more children than the average non-Islamic Russian family, and this means that the Islamic population in Russia is growing larger all the time. It is possible that in the future Islamic Russians will be in the majority. Persia, Ethiopia, and Libya with them; all of them with shield and helmet: Gomer, and all his bands; the house of Togarmah of the north quarters, and all his bands: and many people with thee. Persia - Today this is the nation known as Iran. Ethiopia - Do not confuse this with modern day Ethiopia. The Ethiopia described by Ezekiel was located directly south of Egypt and would correspond to the modern country of Sudan. "Sudan is a hard-line Islamic nation that supported Iraq in the Gulf War and harbored Osama bin Laden from 1991 to 1996" [The Battle of Gog and Magog, by Mark Hitchcock (paper presented at the Pre-Trib. conference), p. 8]. Libya (Put) = This refers to the modern country of Libya, an Islamic nation. Gomer and Togarmah = These ancient names found their location in what today is the country of Turkey. Two countries (among others) which are noted for their omission: Jordan and Egypt. Are these countries controlled by radical Islamic groups? Are these countries enemies of Israel today? Do these countries desire to wipe Israel off the face of the map? Are these countries aligned in any way with Russia? Do they receive military aid and weaponry from Russia? Hitchcock's conclusion: Therefore, Russia will have at least five key allies: Turkey, Iran, Libya, Sudan, and the nations of Central Asia. Amazingly, all of these nations are Muslim nations and Iran, Libya, and Sudan are three of Israel's most ardent opponents. Iran is one of the "axis of evil" nations that is trying desperately to attain nuclear weapons. Many of these nations are hotbeds of militant Islam and are either forming or strengthening their ties with each other as these words are being written. This list of nations reads like the Who's Who of this week's newspaper. It does not require a very active imagination to envision these nations conspiring together to invade Israel in the near future" [The Battle of Gog and Magog, by Mark Hitchcock (paper presented at the Pre-Trib. conference), p. 8]. How is the Invading Army Described? And thou shalt come from thy place out of the north parts, thou, and _________ ___________ with thee, all of them riding upon horses, a ____________ ________________, and a ____________ army. This massive army is described as being a mighty army consisting of many people and comprising a great company. According to verse 16, this army will be like a cloud covering the land. Think of a fog that settles into a valley. The fog seems to be everywhere. So also this army will cover the land in an all pervading way. The massive army is also described in Ezekiel 38:9 as a cloud covering the land, involving a great mass of people. This army will be against Israel. "And thou shalt come up ______________ my people of Israel" (Ezekiel 38:16). Their thoughts and intentions towards Israel will be evil (Ezekiel 38:10). This evil thinking probably will involve anti-Semitism or hatred for the Jewish people. They will attack Israel with the goal of destroying God's people. So will I make my holy name known in the midst of my people Israel; and I will not let them pollute my holy name any more: and the heathen shall know that I am the LORD, the Holy One in Israel (Ezekiel 39:7). Behold I am _______________ thee, O Gog (Ezekiel 38:3 and 39:1). Those who are enemies of Israel are enemies of God. If God be against you, who shall be for you (compare Romans 8:31)? It is a dangerous thing to be against God and against His people. When Will This Invasion Take Place? According to Ezekiel 38:16 it will take place “in the _____________ days.” Both of these expressions point to a future time just prior to the return of the Messiah to establish His kingdom on earth. The Jewish people divided time into two distinct ages: 1) the present age, 2) the age to come or the Messianic age when the Messiah would rule on the earth. The expressions "the latter years" or "the latter days" refers to the time near the end of this present age. It refers to the time just prior to the Messianic age, or the time just prior to Christ's return to earth. For other passages which speak of "the latter days" see Deut. 31:29; Num. 24:14; Jer. 23:20; 30:24; 48:47; 49:39; Ezekiel 38:16; Daniel 2:28; 10:14; Hosea 3:5. As already mentioned, the Jews recognized two ages: the present age, also called the Pre-Messianic age and the future age, called the Messianic age, when the Messiah would rule on the earth. It will be a time when Israel is prosperous. Notice the description of Israel's wealth in Ezekiel 38:12-13. We are also told that the invasion will take place when the people of Israel will dwell S_____________ (Ezekiel 38:14 and compare Ezekiel 38:11 which also seems to describe a time of peace when Israel will not even need walls to protect its villages). According to God's Word, when will Israel be dwelling in safety, without fear of hostile forces round about them? Certainly such conditions do not exist for Israel now. Today the nations that surround Israel are hostile, and most of them desire Israel's destruction. Israel today must be on constant alert against foreign enemies and radical terrorists. They are not dwelling securely in their land today. Certainly such conditions will not exist for Israel in the great tribulation (the last half of Daniel's 70th week, the last three and a half years before the Messiah returns). During the great tribulation the nation Israel will be under intense persecution by the forces of Antichrist (Revelation 12-13). It is referred to as "the time of Jacob's T_____________" (Jeremiah 30:7) and it will be the greatest time of trouble Israel has ever known (compare Daniel 12:1---"and there shall be a time of ________________ such as never was since there was a nation even to that same time"). Is there any future time when Israel will dwell in safety? Prior to the great tribulation, the nation Israel will make a treaty or covenant with a future ruler from the area which was once considered part of the Roman Empire. Bible students identify this ruler as the Antichrist or the man of sin--see Daniel 9:27. He will provide the Jews with a certain amount of protection and safety, even if it is only temporary. The time that Israel will be under the protective treaty of this powerful man will be during the first half of Daniel's 70th week. At the end of this three and a half year period ("in the midst of the week"), the Antichrist will break his treaty with the Jews (Daniel 9:27). In light of these facts, the most likely time for this Islamic invasion will be some time during the first half of the tribulation period when Israel is living in safety, protected by the Antichrist. [Note: The seven year tribulation period is identical to Daniel's 70th week, this "week" being a period of seven years.] The timing of this invasion may also explain why the Antichrist will be able to take over the world at the mid-point of the tribulation. If the armies of Russia and her Islamic allies are destroyed during the first half of the tribulation, then these powers would not be around to resist the Antichrist as he becomes the world's dictator for the second half of the tribulation. They dwell securely (38:11,14). This has often been misconstrued as meaning a state of peace, but this is not the meaning of the Hebrew root batach. The nominal form of this root means "security." This is not the security due to a state of peace, but a security due to confidence in their own strength. This, too, is a good description of Israel today. The Israeli army has fought four major wars since its founding and and won them swiftly each time. Today Israel is secure, confident that her army can repel any invasion from the Arab states. Hence, Israel is dwelling securely. Israel is dwelling in unwalled villages (38:11). This is very descriptive of the present-day kibbutzim in Israel [Arnold G. Fruchtenbaum, The Footprints of the Messiah, pages 121-122]. The advantage of this view is that it more easily explains the seven years of Ezekiel 39:9 (the time it will take to burn the weapons of war). If the invasion takes place near the beginning of the tribulation, then the burning of the weapons would take place at a time when Israel would be in flight (the last half of the tribulation) and not able to finish the burning of the weapons. If the invasion of Ezekiel 38-39 takes place before the tribulation, does this destroy the doctrine of imminency? The doctrine of imminency teaches that nothing must be fulfilled prior to the rapture. That is, the rapture may take place at any time. To say that an event must take place before the tribulation does not affect the doctrine of imminency. The rapture begins before the tribulation but we are not told how long a time period there will be in between the rapture and the tribulation. The tribulation does not begin with the rapture, but with the signing of the seven-year covenant. So to say that the invasion must take place before the tribulation does not necessarily mean that it will take place before the rapture. The rapture may take place at any time. The same is true with the tribulation temple. We know that there must be a temple by the middle of the tribulation period (Matt. 24:15; 2 Thess. 2:4). Obviously the temple must be built prior to this. Does this mean that the temple must be built before the rapture? No, it merely means that the temple must be built before the middle of the tribulation. It is possible that the construction of the temple could commence prior to the rapture, but we do not know this. It would be wrong to say, "The construction of the temple must begin before the rapture can take place." It would also be wrong to say, "The Ezekiel invasion must take place before the rapture." There is nothing that must take place before the rapture but there are some things that could take place before the rapture. The attitude of the watchful believer is this: "It could be today! Even so, come, Lord Jesus!" The problem with the "confidence" view of Fruchtenbaum and Congdon is that the text also says that Israel will be "at rest" (Ezekiel 38:11). "The Hebrew word translated "at rest" means "be quiet, undisturbed." This hardly describes Israel today. The nation is one huge armed camp. The people are disturbed on a regular basis by threats and homicide bombings. Since 1948, Israel has lived under the constant threat of terrorist attacks and invasion by her neighbors. The terminology in Ezek. 38 fits much better with the first half of the seventieth week of Daniel when Israel will enjoy the protection of her covenant with Antichrsit and will temporarily let down her guard [The Battle of Gog and Magog, by Mark Hitchcock (paper presented at the Pre-Trib. conference), p. 15]. The invading forces from the north are described as “a ____________ company, and a ___________________ army” (Ezekiel 38:15). This invading coalition will have great military might. Such an army would never attack Israel without being confident that they could win the battle. Not only did this army wish to destroy Israel who was their hated enemy, but they also wanted to gain materially from their conquest. In Ezekiel 38:12 we learn that the invaders wanted "to take a spoil, and to take a prey." "Spoil" is used in the context of "plunder," that which an army gets when it conquers a land. In ancient warfare, when a nation conquered another nation and took spoils, it was an indication that their god was better and greater than the god of the nation they conquered. It is not hard to imagine the Islamic armies boasting of the superiority of Allah and imagining the spoil they would amass from the Israelites. What riches would Israel have that Russia and the Islamic forces would covet? In recent years Israel has discovered amazing reserves of oil and natural gas, so much so that Fox News stated that Israel will become the new energy Mecca of the Middle East. Today the European Union gets much of their oil from Russia by way of the Ukraine. If they could get some of these resources from Israel, it would help them and hurt Russia, which could explain why Russia will want to invade Israel. Russia cannot afford to let Israel compete with them in this area. Russia needs money from energy sales and conquering Israel would help Russia to have a monopoly on energy. Another source of Israel's wealth is the Dead Sea. One estimate says that "the Dead Sea holds something like 45 billion tons of valuable chemicals, mainly sodium, chlorine, sulphur, potassium, calcium, magnesium and bromide" [Gordon Gaskill, "The Dead Sea Isn't Dead Anymore," The Reader's Digest, July 1966, 89:531, p. 158]. Who is able to wage war with such a mighty military force, made up of these different nations, all sharing a passionate hatred for Israel? What nation would dare to enter into battle against such a formidable foe? How could Israel possibly win? This situation will be similar to the days when powerful Goliath was defying the armies of Israel (1 Samuel 17). Who could possibly defeat such a great giant? With man this was impossible, and the situation seemed totally hopeless from a human point of view. However, Goliath, that great giant, was defeated by a greater God, the omnipotent One! One of the ways God achieves victory is to cause confusion in the midst of the invading army so that "every man's __________________ will be ___________________ his brother" (Ezekiel 38:21). God destroys this mighty army in four ways: 1) a great earthquake (Ezek. 38:19-20); 2) the enemy confused and fighting each other (Ezek. 38:21); 3) disease and pestilence (Ezek. 38:22); 4) flooding rain, hailstones, fire, and burning sulfur or brimstone (Ezek. 38:22). And it all seems to take place quite rapidly, perhaps taking even less time than Israel's Six Day war. The slaughter will result in a great feast for the vultures and for the beasts (Ezek. 39:4). The world will recognize that God did it! God will get the credit. "Thus will I ___________________ Myself, and sanctify (set apart) myself; and I will be ________________ in the eyes of many nations, and they shall know that I am the LORD" (Ezekiel 38:23). After this amazing victory God will be magnified (His greatness will be universally recognized) and set apart as the most powerful Being in the universe. Following this event, how can anyone on earth doubt God's existence? It will be a death blow to atheism. "And I will set My __________________ among the heathen, and all the heathen shall see my ___________________ that I have executed, and my hand that I have laid upon them" (Ezekiel 39:21). Today there seems to be no solution to the problems caused by the growing Russian and Islamic powers, but after this invasion the nations of the world will see God's amazing solution based upon God's sovereign power! The implication is that prior to this great victory, the nations will have given little thought to the God of Israel. 3) So that God will renew Israel's covenant relationship with Himself: "So the house of Israel shall know that I am the LORD their _________ from that day and forward" (Ezekiel 39:22). a) by recognizing that God brought them back to the land (Ezekiel 39:28). b) by honoring Himself through Israel "in the sight of many N_________________" (Ezekiel 39:27). c) by hiding His face from them no longer (Ezekiel 39:29). d) by pouring His Spirit upon them (Ezekiel 39:29). This battle will be the starting point of restoring Israel to a right relationship with God and this will be fully accomplished when Christ is ruling on earth at the beginning of the millennium. "Surely in that day there shall be a great _______________ in the land of Israel. So that the fishes of the sea, and the fowls of the heaven, and the beasts of the field, and all creeping things that creep upon the earth, and all the men that are upon the face of the earth, shall _____________ at my presence, and the mountains shall be _____________ ___________, and the steep places shall fall, and every wall shall fall to the ground" (Ezekiel 38:19-20). Will this great earthquake level the Muslim Mosque in Jerusalem (the Dome of the Rock) and thus pave the way for the tribulation temple to be built? We do not know; this is pure speculation on the part of some Bible students. Some believe that the treaty in Daniel 9:27 will give Israel access to the temple site. What is the agreement made in Daniel 9:27? Is it a peace treaty? Many believe the Antichrist will make a treaty to protect Israel. Some suggest that it is simply an agreement to allow Israel to begin sacrificing again at the temple location. Israel could then quickly erect an altar for sacrifice even if the temple has not yet been built. This was the case in the book of Ezra where sacrifices were offered on an altar even before the second temple was completed. When the treaty is broken after 3½ years (Daniel 9:27), then the sacrifices will cease and the Antichrist will establish the worship of himself in the temple (2 Thess. 2:3-4; Matt. 24:15). So it is possible that the treaty will allow Israel to offer sacrifices at the temple site and the breaking of the treaty will bring an end to these sacrifices. How long will it take to burn the weapons which will be remaining from this defeated army (Ezekiel 39:9)? __________________ Compare also Psalm 46:9. The seven months and the seven years remind us of the size and magnitude of this invading army. Their bodies and their weapons will require a massive cleanup effort that will be ongoing. The Use of Horses and Ancient Weapons??? In Ezekiel 38:4 the army is described as coming on horses. 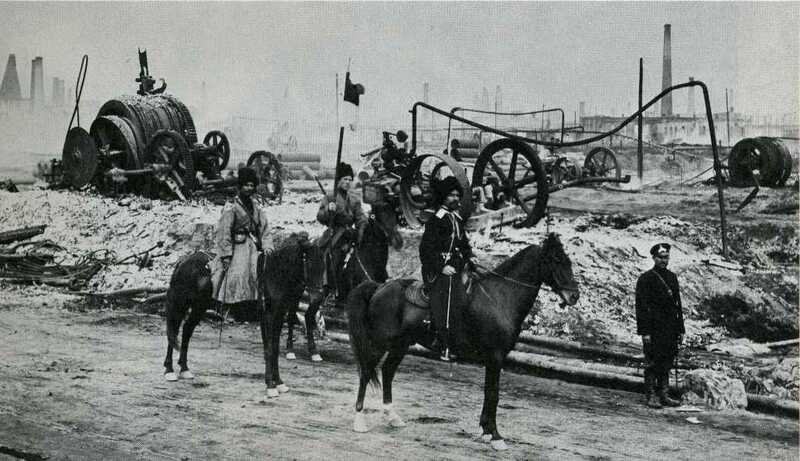 It is hard to imagine a modern army relying on horse power, rather than upon tanks and fighter jets and drones, etc. One argument is that the Bible writers used terms that their audience could understand. Ezekiel's original audience would not understand a description of modern fighter jets and tanks. "If he (Ezekiel) had spoken of planes, missiles, tanks, and rifles this text would have been nonsensical to everyone until the twentieth century" [The Battle of Gog and Magog, by Mark Hitchcock (paper presented at the Pre-Trib. conference), p. 22]. In those days horses were familiar symbols of military might and swords were the weapon of choice (38:4). There are others who argue that we should not be so quick to abandon the literal language of the text, and that there may be reasons why horses would be used in this latter day battle. Cavalry has been used even in modern warfare. The Russian Cossacks were used in both World Wars in the twentieth century and they were very skilful warriors. One disadvantage of tanks is that they have difficulty going through mountains. Horses do much better on rough terrain. The route from Russia to Israel is full of mountains. Manfred Kober, gifted prophetic dispensational teacher, relates an incident from his own personal experience as one who lived in Germany: "When the Russian hordes invaded eastern Germany in the Spring of 1945, this writer was a witness to their primitive armaments. The Americans had come into our part of Saxony some weeks earlier in tanks, armored personnel carriers, with the most modern instruments of war. A few days later, after they regrettably had withdrawn westward, the Russian army came. Many soldiers arrived in horse-drawn covered wagons, drawn by two diminutive Siberian ponies. Some of their main weapons were threshing flails and pitchforks. True, the Russians had some tanks, trucks and machine guns, but the scene of 1945 is indelibly etched in this writer's mind as he witnessed this barbarian invasion, with soldiers armed with the most primitive of weapons, like the Huns centuries earlier" [Manfred Kober, The Assault and Annihilation of Gog and Magog--Ezekiel 38-39, p. 7]. 1) In both cases the invaders are against God and against God’s people. 2) In both cases the invading army is made up of a vast multitude. 3) In both cases Israel and Jerusalem are the targets. 4) In both cases the enemy is Satanically inspired. 5) In both cases the enemy is destroyed by God Himself, supernaturally, without any help from man. The invasion described in Ezekiel 38-39 will take place before Christ's millennial kingdom whereas the invasion described in Revelation 20 will take place after the thousand year kingdom has expired. "The words Gog and Magog in Rev. 20:8 are probably used as someone today would apply the word 'Waterloo' as a shorthand way to signal a crushying military defeat. During the millennium, the defeat of Gog and Magog in Ezek. 38-39 will apparently become legendary among the nations. John applies this overwheming defeat to a new historical situation. Satan will lead this final invasion and will meet his 'Waterloo'--his 'Gog and Magog' " [[The Battle of Gog and Magog, by Mark Hitchcock (paper presented at the Pre-Trib. conference), p. 19]. THOUGHT QUESTIONS: Does it pay to be on God’s side? How can I know for sure that I am on God's side? "The LORD is on my ____________; I will not fear. What can man do unto me?" (Psalm 118:6).